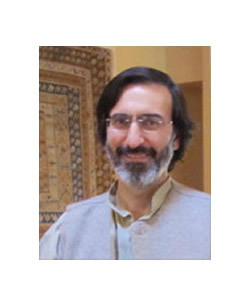 Reza Shah-Kazemi is a research associate at the Institute of Ismaili Studies in London and was the founding editor of the Islamic World Report. He is also the author of Paths to Transcendence: According to Shankara, Ibn Arabi, and Meister Eckhart (2006) and The Other in the Light of the One: The Universality of the Qur'an and Interfaith Dialogue (2006). Additionally, Shah-Kazemi has contributed to several volumes on Muslim spirituality and edited a Persian-to-English translation of the Great Islamic Encyclopedia. He holds a Ph.D. in comparative religion from the University of Kent and has studied at Sussex and Exeter Universities. Shah-Kazemi was one of the original signatories of "A Common Word Between Us and You," a letter addressed to Christian leaders by Muslim leaders in an appeal for peace and cooperation between the two religions.